I drive on our roads everyday, and almost every time I do I see at least one person using a mobile phone whilst behind the wheel. Now as a lawyer who deals with road accidents, I'll be the first to admit that I'm sensitive to anything that can have a negative effect on road safety. But it makes me so angry that despite all the publicity showing us how many serious or fatal accidents can occur as a result of using a phone whilst driving, many people continue to do it. Using a mobile phone at the wheel was officially banned in 2003 and the Royal Society for the Prevention of Accidents (RoSPA) found it increases the risk of a crash by four times. 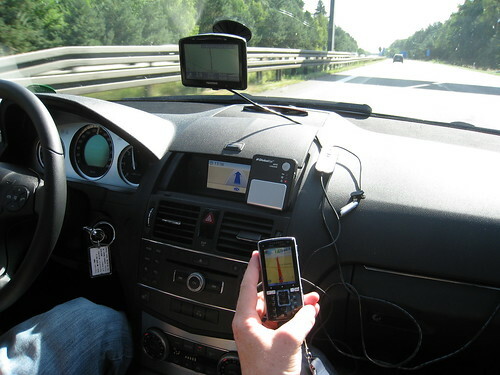 Reaction times for drivers using a phone are also around 50% slower than normal driving. Even the most careful drivers can be affected by a phone call or text, as that split second lapse in concentration can be fatal. Getting caught by the police whilst driving and using a hand held mobile phone can result in a hefty fine, points on your licence, increased insurance premiums and even a driving ban. If you are found guilty of contributing to an accident because you were using your phone you are likely to also face criminal prosecution for dangerous driving or driving without due care and attention. "Jemma was stolen from us by this truck driver who had absolutely no regard for other road users. This man has caused devastation to our family by texting while driving a heavy goods vehicle at 55mph on the M18, as we heard in court one text alone had one 117 strikes of the keyboard." I believe more and more accidents are happening on our roads because drivers are distracted. While it's obvious that taking you hands off the wheel to use your mobile presents a clear risk, RoSPA argues that even hands free usage should be banned. While the government disagrees, I think we can all concur that as soon as a driver answers a call or looks at their phone to read a message their concentration is adversely affected. The Think! annual survey report carried out in last August further revealed the overwhelming view that using a mobile to text whilst driving was the most dangerous phone related behaviour, with 86% of participants agreeing completely. Using a mobile phone without a hands free kit was then seen as the next most dangerous behaviour (83%) and using a hands free kit was a distant third (29%). So when you next get in your car, just take a moment to think about what you do with your mobile phone. Do you switch it to silent and place it in the glove compartment? Or leave it to buzz and ring away on the passenger seat? Is that facebook notification or spam text message really worth taking your eyes off the road for?